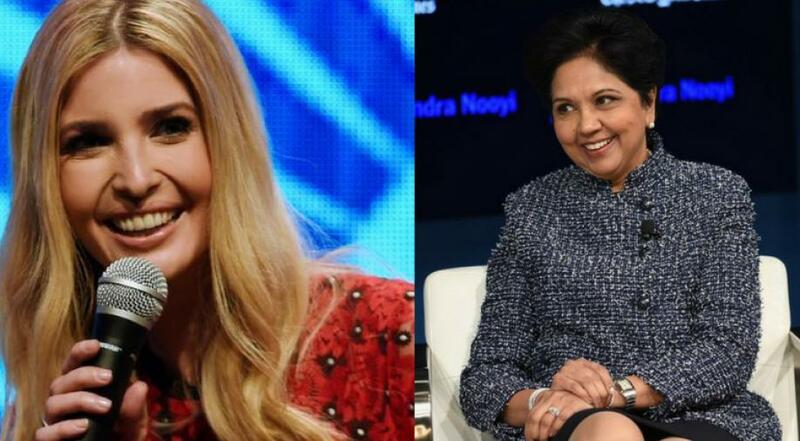 After White House officials said President's Trump's daughter and advisor Ivanka Trump was involved in helping to select the next World Bank chief, a report in the New York Times said the Ivanka has backed former Pepsi boss Indra K. Nooyi for the top post. World Bank’s current president, Jim Yong Kim had announced his resignation and informed that he would be stepping down from the post in February. Kim had decided to leave the post three years ahead of term citing differences with the Trump administration. The New York Times report said it was "unclear whether Nooyi would accept the nomination if chosen by the administration" although Ivanka had once tweeted that the ex-Pepsi chief was her “mentor + inspiration”. However, the report added that Nooyi had made "negative comments" against Trump when he was elected president in 2016 during which she did not publicly endorse any candidate, which is being seen as a "possible roadblock". The report said that Trump’s win, she had said created a lot of questions among her daughters and her employees but later Nooyi tried to clarify her remarks after a PepsiCo spokesman told Fortune magazine that “Mrs. Nooyi misspoke. She was referring to the reaction of a group of employees she spoke to who were apprehensive about the outcome of the election. "That those past comments may hinder her chances are a reminder that Mr. Trump does not have a large circle of loyalists to choose from for top positions," the report said. A report from The Financial Times had said earlier that former UN ambassador Nikki Haley was among the candidates for the World Bank post. The report said the "decision-making process for the top post at the World Bank was fluid" and "initial stages and early front-runners and candidates often fall off the radar". "Before the president makes his ultimate pick, Trump often makes his own gut decisions about whom to chose," it added. Ynder an unwritten agreement, the United States, which is the bank's largest shareholder, has always chosen its leader since the institution was founded following World War II, however, bank's board has said that Kim's successor will be "open, merit-based and transparent." The World Bank Board had said last week that it would start accepting nominations for a new leader early next month and name a replacement for Kim by mid-April.